In Social Media and Public Relations, PR veteran Deirdre K. Breakenridge presents focused, actionable best practices for every PR pro, marketer, and strategist: the eight social media skills and mindsets most tightly linked to success right now. Drawing on her unsurpassed experience counseling Fortune 500 companies and other top organizations, Breakenridge shows exactly how to engage todayâ?™s sophisticated, socialized customers. 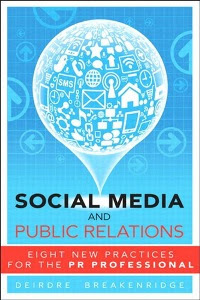 This concise, fast-paced book reveals how to integrate social media and PR with other key business functions.